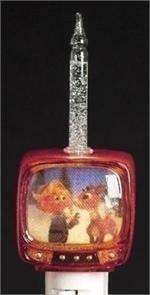 The iconic Leg Lamp features 3 Dimensional Tinsel, 120 volt miniature white lights, with a 36" lead wire. Designed for indoor or outdoor use. 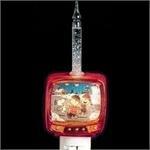 Rudolph the Red Nosed Reindeer, in a retro bubble night light shaped light a old tube style TV.